Cross Identifications: GC 4355, h 1991, h 3718, H 4. 41. 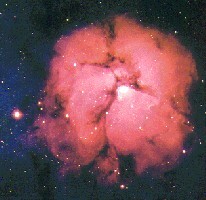 Trifid Nebula; Bode 47; parts are H 5.10, H 5.11, H 5.12.